The University of Kansas continues to lead the state's six public universities in the rate of students graduating in four years. The Lawrence Journal-World reports a report earlier this month to the Board of Regents found Kansas had a 41.1 percent four-year graduation rate in the reporting year of 2016. The data comes from the National Center for Education Statistics. Kansas State was second, with a rate of 31.1 percent. Pittsburg State University's rate was 25.6 percent, followed by Emporia State University at 22.7 percent, Wichita State University at 21.5 percent and Fort Hays State University at 18.1 percent. Kansas spokeswoman Erinn Barcomb-Peterson says the university's top rate reflected leaders' concerted efforts to emphasize recruitment beyond the region and seek more students likely to succeed at college. 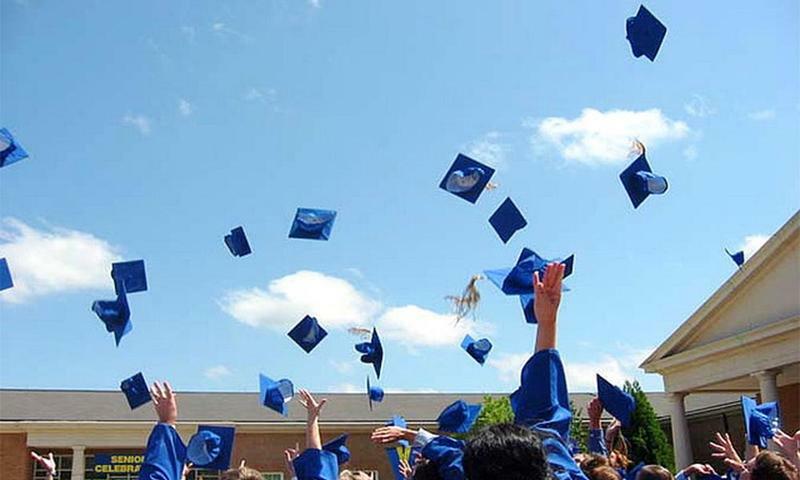 According to a recent report from GradNation, the number of U.S. high school students graduating on time hit a record high with a rate of 82.3 percent for the Class of 2014. Despite school funding problems, Kansas had a graduation rate of about 86 percent for 2014, based on recent data from the National Center for Education Statistics and the U.S. Department of Education. That makes it one of 29 states that exceeded or equaled the national average.